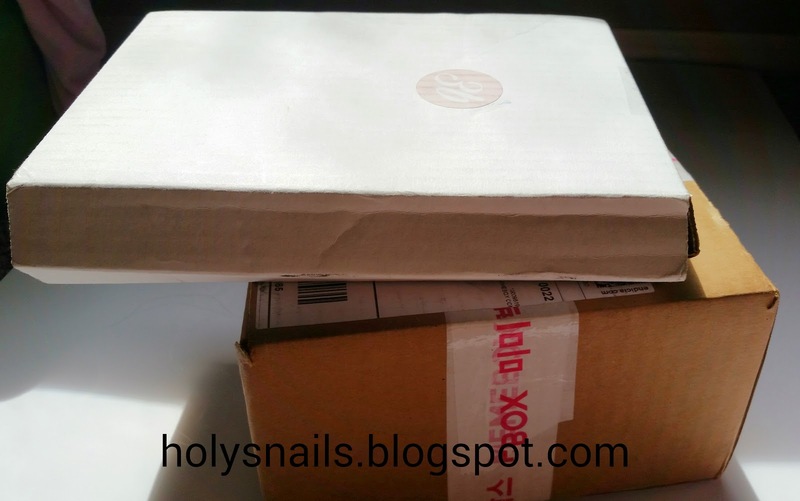 April The 3B Box Unboxing! | Holy Snails! Everything comes in what is now their signature organza bag. Everything laid out. It looks like 3 full size products, and two deluxe samples. 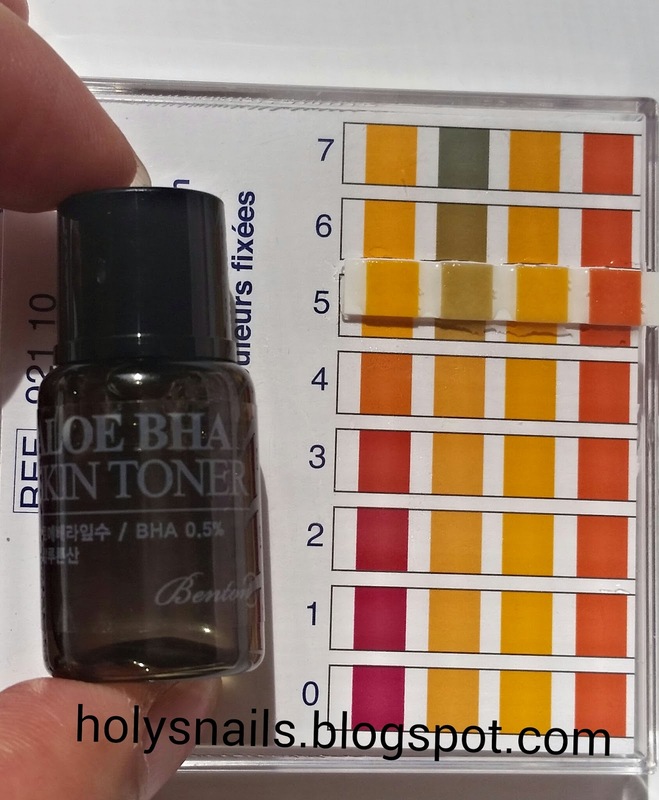 Designed for all skin types, this Benton toner is great for treating troubled skin that is prone to acne, redness, and dryness. Aloe helps soothe and moisturize the skin while salicylic acid exfoliates, reduces sebum, and promotes anti-inflammatory benefits. Snail mucin supports natural cell regeneration and replenishes moisture to increase skin firmness. 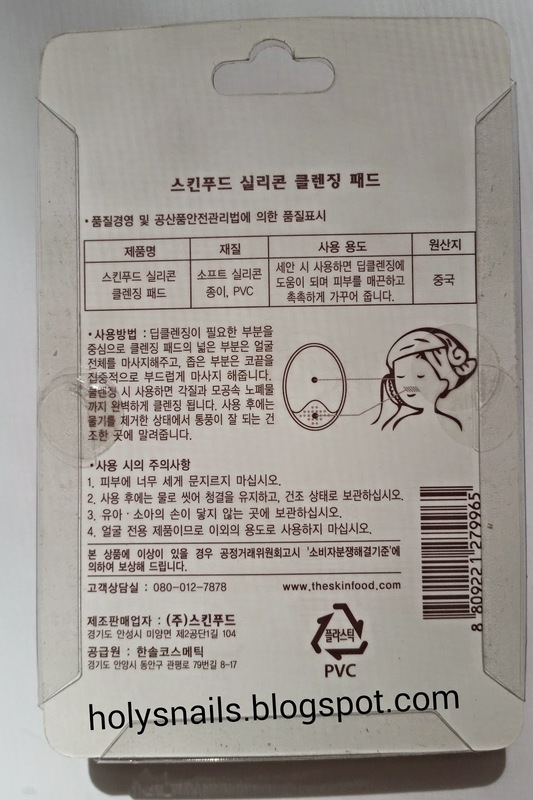 Apply on skin using cotton pad after cleansing. I'm really looking forward to trying this out, as it has some really lovely ingredients, but this ain't exfoliating squat. Not at that pH. 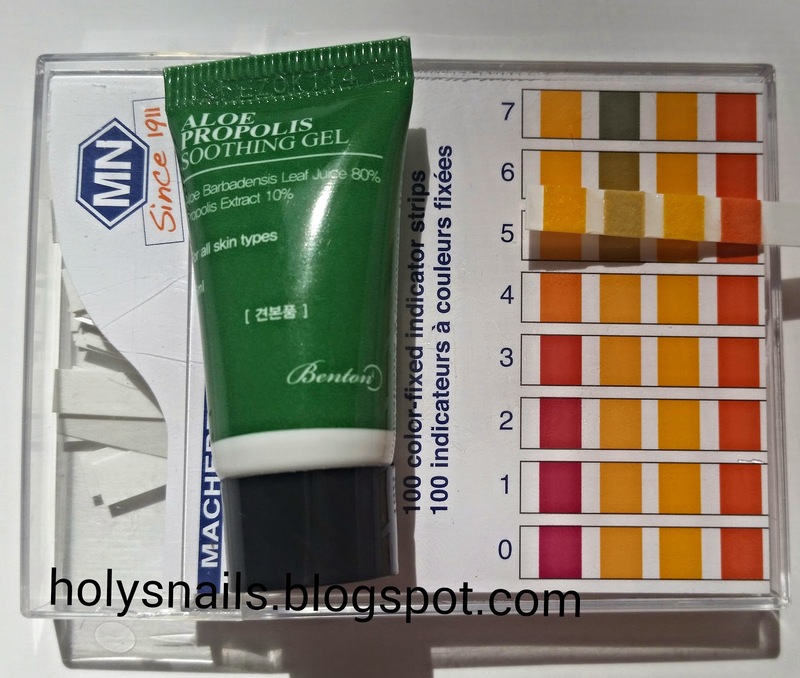 Salicylic acid is still good for being an anti-inflammatory/antimicrobial. This gel contains 80% aloe and propolis to help soothe irritated skin, fade acne scars, brighten skintone, and maintain hydration throughout the day. 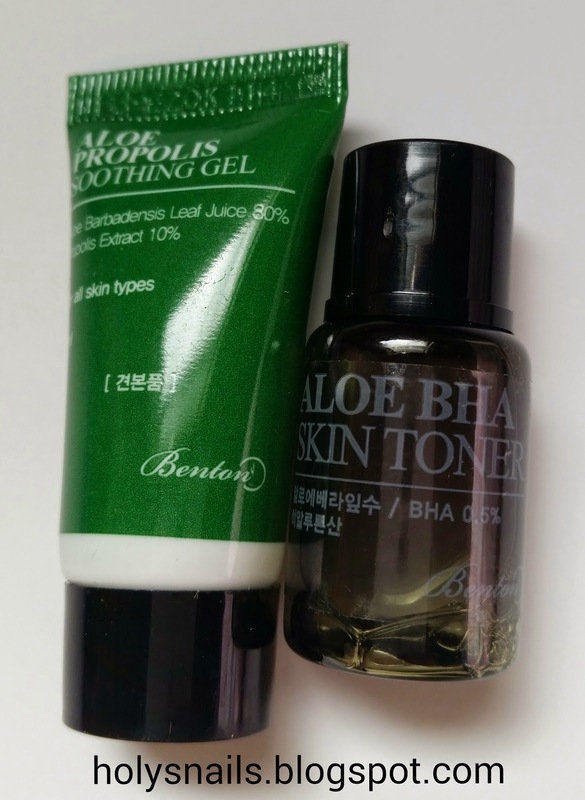 Apply gel to face and neck after cleansing and toner. Lightly pat into skin for greater absorption. They changed the packaging since I last saw them on RoseRoseShop, and I think I like this better. I think after my su:m37 Gel Lotion runs out, I might look into this one as my day moisturizer. 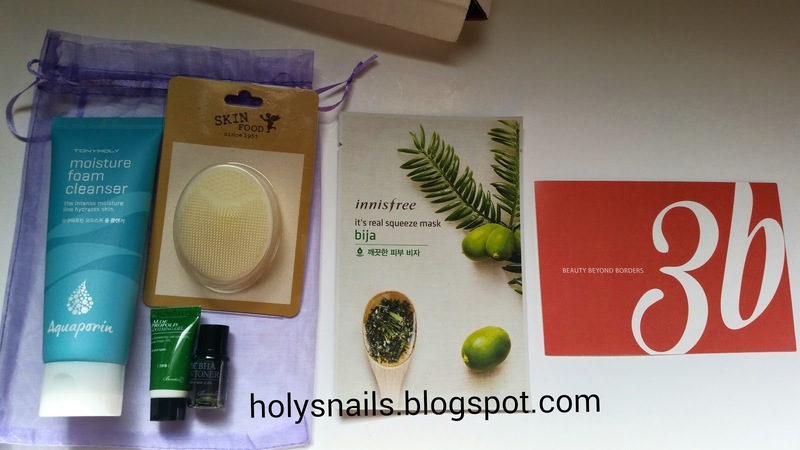 Again, lovely ingredients, and quite affordable. This Korean micro-foam cleanser effectively clears out deep impurities without stripping skin of its natural moisture. It contains no parabens, mineral oils, benzophenone, or tar color. Apply a small amount onto wet skin and gently massage into a lather. Rinse off with lukewarm water. 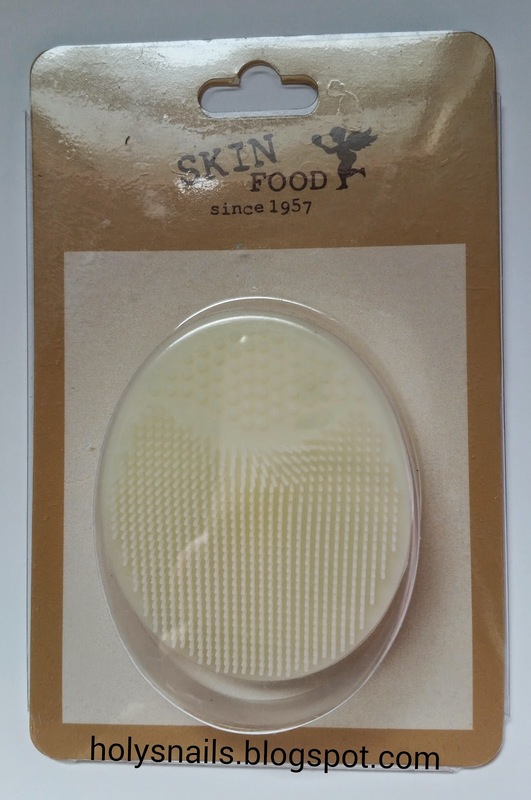 A popular way to help thoroughly cleanse and exfoliate the skin, this silicon cleansing pad uses tiny bristles to invigorate the skin and clean out pores. Long term use results in a clear and radiant complexion. Apply favorite cleanser to face and use cleansing pad to gently massage skin. Rinse with lukewarm water. I've actually been meaning to grab one of these! This is basically what you get when you rip off the front half of the Foreo Luna (which I've used, ...and returned), and attach a suction cup on the back. It's super soft, and silicone, and I actually tried it out twice today. I'm loving it so far, but we'll see if it does anything extra for my face. Formulated with Jejubija (Bija) herbs, this natural mask revitalizes the skin while providing key nutrients. 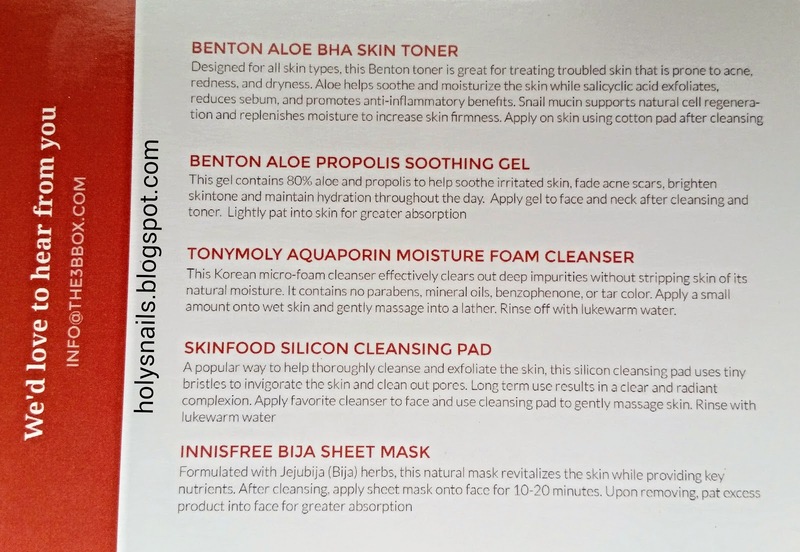 After cleansing, apply sheet mask onto face for 10-20 minutes. Upon removing, pat excess product into face for greater absorption. 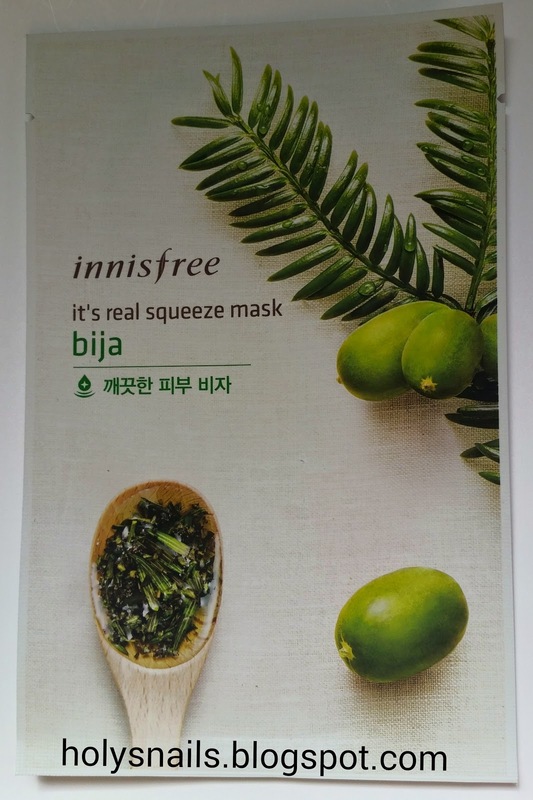 I quite like the Innisfree It's Real squeeze masks, so this is a nice addition. Yikes, I paid $12, shipping included for this box, so the number isn't that much off, but still. Also, I won't even use the TonyMoly cleanser, so that drops the value for me down to $4.71, which is even more of a bummer. While the others are things I like, and am wanting to try, the value just isn't there. I'm issuing a warning, 3B. You have two more strikes to improve value, or I'm dropping this subscription.